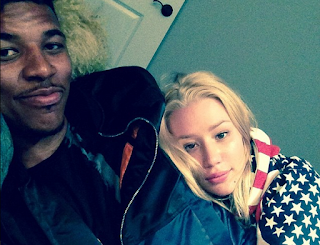 LA Laker Nick Young proposes to rapper Iggy Azalea at his 30th birthday party. Is she going to take the name Mrs. Swaggy P? Iggy, welcome to the life of an NBA wife — your fiance may not be playing in Los Angeles next season. The Lakers are going to shop him and would love to move him and that contract. She doesn't look happy in this pic.